Verne skillfully mixes a plot full of adventure and twists that hold the reader's interest with passages of technical, geographic, and historic description. The book gives readers a glimpse of the exploration of Africa, which was still not completely known to Europeans of the time, with explorers traveling all over the continent in search of its secrets. The contents of a shark's stomach contain a bottle that holds notes that give clues to the location of Captain Grant, whose ship was lost at sea. Lord Glenarvan makes it his quest to find Grant together with his wife and Grant's two children. Inspired by Edgar Allan Poe's The Narrative of Arthur Gordon Pym of Nantucket, Jules Verne intended An Antarctic Mystery to complete the mystery of Pym's fate. A high-sea adventure, An Antarctic Mystery takes readers to the very edge of the world. 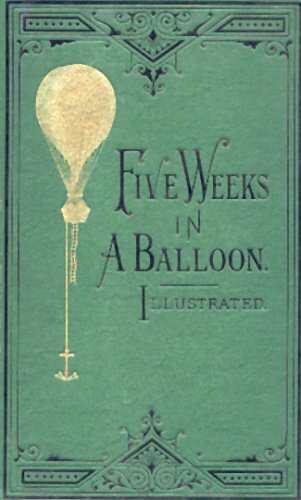 Considered one of Verne's best books by critics. Unlike some of Verne's other famous novels, it is not science fiction, but a scientific phenomenon is a plot device. The book has been adapted several times for films and cartoon series.